Bella Vita Shawl – pattern update! Two months ago mom and I shared our very first shawl pattern: the Bella Vita Shawl which my mother made herself with one of the color changing yarn cakes. 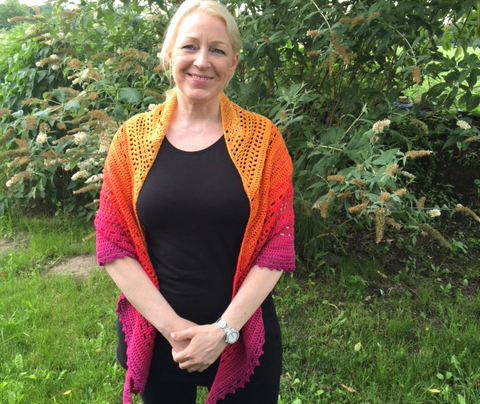 It was a big success: many of you liked, commented, shared and wanted to make the same shawl. We got so many kind comments, thank you all so much for your support. We really felt rewarded for the amount of time and energy we put in writing and sharing the pattern. It was a blast reading so many kind words and it encouraged us to continue making shawls and patterns. We – and especially mom – were overwhelmed by all the love and gratitude you showed us. 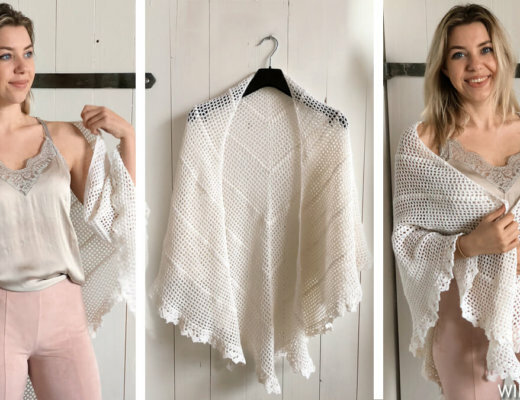 It was our first shawl pattern and although we tried to make the pattern as easy as possible, we noticed it was still way too complex. We received many questions about the counting and it seemed that rows were not ending like it should end. 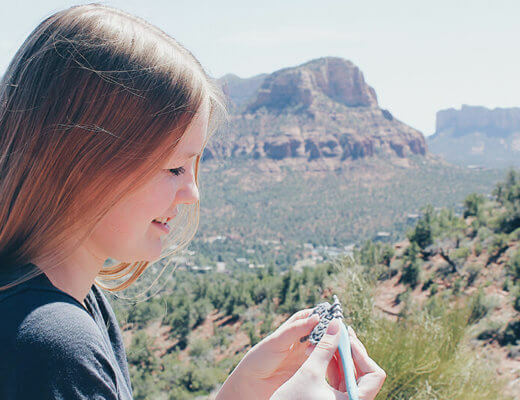 We felt really frustrated because some of you were spending time and yarn on our pattern but had to unravel the project because the pattern was too complicated to understand. We decided to get another yarn cake and make a second version of the Bella Vita Shawl, which looks exactly the same but is easier to read. And of course we tried to fix all the mistakes this time. Mom did all the crochet work while I was working on the pattern. We wanted to finish the pattern within 2 days, but it seemed to be way more work than we expected and it took us 2 weeks in total. 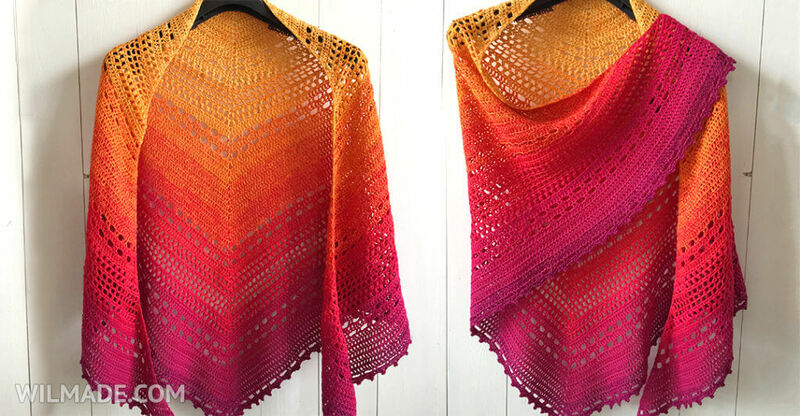 So here it is, the updated version of the Bella Vita Shawl. 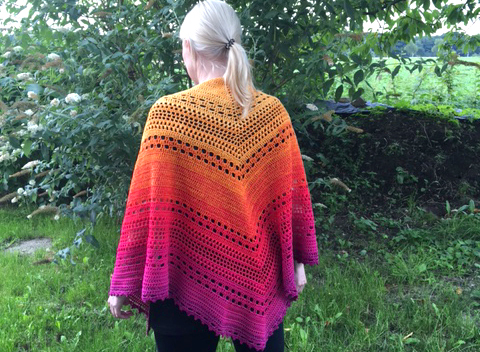 Below you can find some pictures of the second shawl we made, again with such pretty colors! Thanks for your patience and support and we are really sorry for any inconvenience. *note: unfortunately the shop that sold the yarn has closed. I have searched on Etsy for similar yarn and colors and advice this yarn. Hi… I have purchased a Bella Vista pattern, and am having issues with the counting not adding up. I’m wondering if this is due to ‘,unrevised’ pattern purchase. I have had such dramas & am a newbie. It would be fabulous if pics could be included of end of rows, to show how it should look. Mine seems to curve wrong and I’m forever stuck due to this. Please help save my project. I simply hate not finishing what I’ve started. Thanks. I guess I’m an idiot. I’m having a problem just starting it. Can’t get past row 2. Maybe if I could see it? I do not see the updated pattern, just the original pattern. Did you update the original? It still shows row 60 with 304 st but looks like everyone is getting 302. Is that right? what colour? yellow, orange, red? I noticed the yarn cake you used was 1094 yards. Did you use all of it? I have a bunch of 1000 yard cakes and I would love to use one for this pattern. Hi Karisue, I can’t really remember but I think I had some left overs (I almost always do). I think you can use the 1000 yard cakes without problems, you can always skip a few rows if you don’t have enough yarn left! Thank you so much! You and your mom are both so beautiful and talented! I love all your shawls and can’t wait to make them all! Blessings to you both! Thank you for the pattern update ! I plan to do a Bella Vista shawl soon. But first plan to crochet a Joyful Josie one. 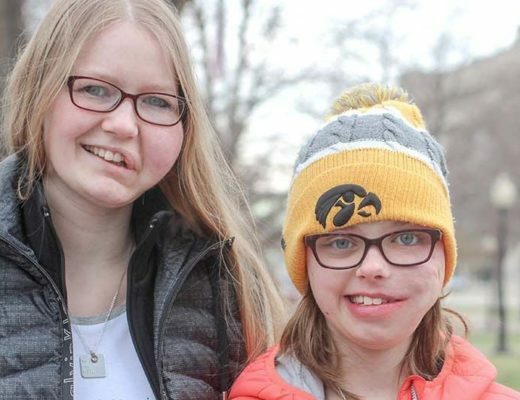 I have a sister named Josie. At this time she is NOT joyful! I know she will love this shawl! Thanks so much for sharing your unique patterns ! !